Who is helping with the Social Giving Revolution? Social Giving is the heart of MediaPA. We are here to help grow this philosophy while assisting others to achieve. Previous co-owners Clare and Richard Gallagher, joined MediaPA's Social Giving Revolution to help NZ long distance runner Camille Buscomb. Argent is now owned and operated by Graeme Hunt who has an extensive history in the hospitality industry, spanning more than 30 years in regions around the country. 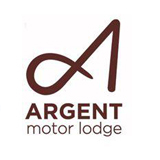 He has recently taken over Argent Motor Lodge with his focus and passion to provide a clean and comfortable 'home away from home' for visitors to the Waikato region. The Argent is within close proximity to the rugby and cricket sports stadiums, the race track, airport, city centre, Braemar Hospital, and is directly adjacent to the Waikato Hospital, offering an unrivalled location for any visitors to the Waikato region. Salon owner and stylist Kaleb Phillipe set up a hair salon in the heart of Hamilton. In their modern, bright, and warm salon, their friendly team will treat you and your luscious locks using natural products. High-end colour products are used that contain no ammonia, no smell and no staining - just gorgeous colour! The team at The Engine Room really know how to treat their clients - each of these treatments includes a complimentary coffee or tea upon arrival, to get you in the mood to relax and be pampered. Whether you're looking to give your lovely locks a bit of a freshening up or you're looking for a totally new gorgeous hairstyle, The Engine Room have you covered - and let them take care of you! The Engine Room have been supporting NZ elite long distance runner Camille Buscomb as part of Social Giving. Simon and Lornae Lowe are friendly hosts that own and operate Aspen Manor Motel in Hamilton East. When you book with Aspen Manor you will find it warm and welcoming. It is your home away from home, and Simon and Lornae will do all they can to make your stay a memorable and enjoyable one. Simon, Lornae and the Aspen Manor team offer everything you will be looking for in a quality, modern accommodation establishment from 31 ground floor units, parking at your door, Digital Sky TV, inclusive ultra-fast Wi-Fi as well as being close to Hamilton Gardens, City Centre, Mystery Creek, Hamilton Airport and Cambridge. Simon and Lornae started Social Giving in 2014 by supporting International Elite Track Cyclist Katie Schofield.